We discovered last week that PokerStars NJ will officially launch on March 21. Now that we know when PokerStars is coming, the questions begin as to the impact the site will have on the NJ online poker market. More importantly, what can the other established sites do to prevent PokerStars from stealing all of their players? Realistically, we know that PokerStars will take away players across the board. The trick is controlling the extent of the bleeding. Below are some ways that online poker rooms can compete with PokerStars NJ. If New Jersey online poker rooms hope to compete with PokerStars, they better be prepared to shell out some money in order to draw in new players and retain existing players. PokerStars has the bankroll from their ROW operations to throw at their NJ site and you can rest assured they are going to hold various “value added” events in the coming months. NJ online poker rooms are going to have to decide how much they are willing to invest in marketing to players in order to compete with PokerStars. In essence, they are almost starting over again in trying to win online poker players. Those that chose not to spend money to advertise or to offer enticing promotions will find it difficult to compete. This is something that is going to take quick action by the part of NJ online poker rooms. What type of games or tournaments can sites run that PokerStars is not offering? Are there any pricing points or any formats that sites can take advantage of to give players something different from what PokerStars is running? Again, this is going to probably cost the sites some money in the initial months following PokerStars’ return to the US but it may help sites gain new players and retain old ones. The key is for sites to react quickly upon PokerStars’ initial launch. Waiting several months to enact new ideas will be too little, too late. Another option is for online poker rooms to offer more live casino rewards for online play. Players already have options with Caesars to earn Total Rewards tier credits and the Borgata offers some live rewards for online poker, but these offers need to be expanded. Start offering additional hotel stays, improved comps or even special live freerolls that players can play their way into online. Card rooms may consider increasing the number of rewards points earned online as a way to get players to continue playing at their site rather than shift all of their play over to PokerStars. Of course, card rooms could choose the least appealing of these options and that’s waiting for players to get tired of playing at PokerStars. There are going to be players that will leave PokerStars for one reason or another. Some of these players are going to want to find another site. Other online poker rooms can step in and try to pick up these players. This is the least appealing of the options for online poker rooms for obvious reasons. This is banking on players potentially leaving the site in significant numbers and that could take a while to happen, if it happens at all. That also assumes that players will look to go to another site and not give up online poker altogether. 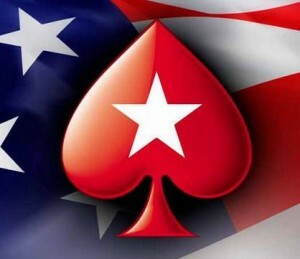 The fact is that some online poker players are only going to come back to play at PokerStars and if the experience doesn’t provide enough of a benefit for them to stick it out, they are going to leave online poker for good, or at least until the interstate network grows larger. Tagged New Jersey Online Poker, NJ Online Poker, PokerStars NJ. Bookmark the permalink.